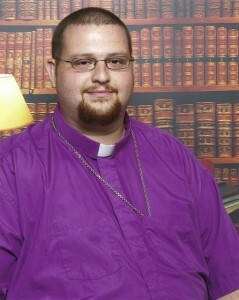 Bishop Gregory Godsey was born in Hopkinsville, Kentucky on June 21, 1979 to a Roman Catholic family. He has traveled from church to church as a child experiencing the various expressions of the Christian faith first hand. By 1999, Bishop Godsey had started to question his calling to the priesthood within the Roman church. He found himself unable to reconcile his beliefs with those of the magisterium on issues such as clerical celibacy, papal infallibility and closed communion. That is when his searching brought him to the Independent Sacramental Movement. His first experience in the movement was disastrous. He had found himself in the company of charlatans who turned out to be invalid. Having been ordained and consecrated by these people, he was once again put in the situation of searching for help within the movement to make things right. In an answer to prayer, Bishop Mark Pultorak and Bishop David Worley of the American Orthodox Catholic Church – Propheta Jurisdiction offered to sub-conditionally ordain and consecrate Bishop Godsey in 2004. This would put an end to the struggles over validity that had plagued him. Bishop Godsey founded the Ancient Apostolic Communion in 2002 with the assistance of Bishop John A. Parker Jr, Fr. David S. Jennings and a few other clergy. This communion worked to proclaim the good news that God loves everyone for years. The Communion put forth five major papers on issues of doctrine and theology, which received praise from those in the movement and those in mainstream denominations. 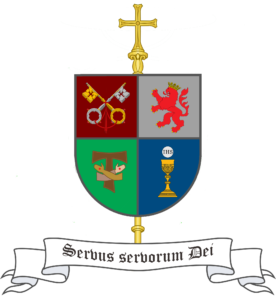 Due to desire to continue the mission of the Ancient Apostolic Communion and due to the need for fellowship with other like-minded clergy, the Ancient Apostolic Communion merged into the Liberal Catholic Apostolic Church, now known as the Old Catholic Apostolic Church. This move has helped to further stabilize both jurisdictions and has provided a greater support structure for all involved. On April 14, 2012, Bishop Godsey was officially installed as the Bishop Ordinary of the Diocese of St Maximilian Kolbe. In addition, he is also the Director of the Office of Communications and Media Relations. On May 23, 2015, Bishop Godsey was elected as the second Presiding Bishop of the Old Catholic Churches International.